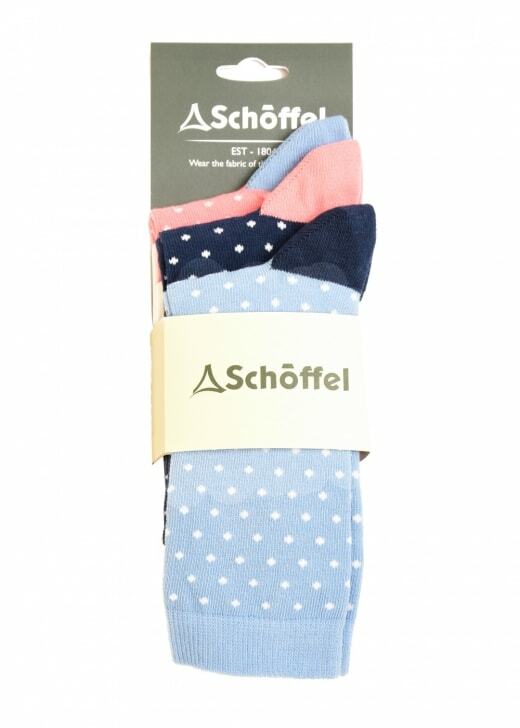 The Schoffel Polzeath Socks are ankle high polka dot socks made from a stretch-cotton blend, perfect for everyday wear. The Schoffel Polzeath Socks are ankle high polka dot socks made from a stretch-cotton blend, perfect for everyday wear. These 3-pack socks are soft and breathable, with the classic contrasting heel and toe finish.